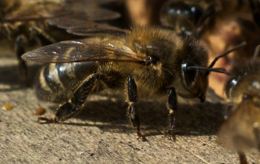 Archaeological, biological and historical evidence shows that honey bees in the UK from around 4,000 years ago up until the 19th century were genetically the dark European honey bee - Apis mellifera mellifera. From about 1814, a small number of Italian bee imports took place, mainly for experimental reasons, and this continued sporadically with very little effect upon the native bee population until the early 1900s. Sadly though, between 1916 and 1925 the British black bee, as it was then known, was rendered virtually extinct in England and Wales by Acarapis woodi (acarine mite), the outbreak being called the ‘Isle of Wight disease’. Parts of Scotland and Ireland though were less severely affected by this outbreak. From this time onwards, major imports of Dutch and Italian bees occurred, mainly from Holland. 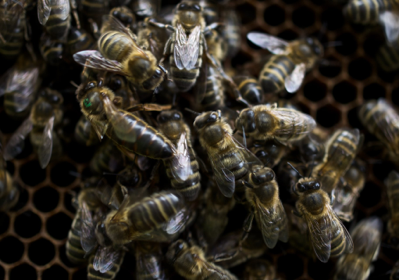 This importation has continued, mainly from the USA, Australia and NewZealand, and despite the recent import restrictions the bee population is still being topped up by major imports of largely Italian style queen bees. The direct result of these imports is that the genetic mix of our honey bee is broad, and although natural selection still favours dark bees, many of the major genetic advantages of our original native dark bee have been lost. 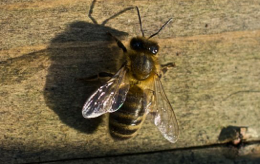 Even in Scotland where Apis mellifera mellifera numbers were still significant up to the late 1960s, these imports have had a severe and adverse effect. However, small pockets of pure Apis mellifera mellifera remain in remote parts of the country, and handled very carefully, there is a real possibility of re-introducing these on a major scale to save this exceedingly valuable species. Over the past 30 years there has been a huge increase in queen bee imports to the detriment of our British native dark bee. Stocks of 100% pure native dark bees are dangerously low, and it is imperative that all beekeepers take action to help reinstate the original native honey bee to this country whilst there is still the opportunity.